It’s cold outside, you may be drunk, hungry or both and don’t feel like walking a mile to McDonald’s for a double cheeseburger and some fries. 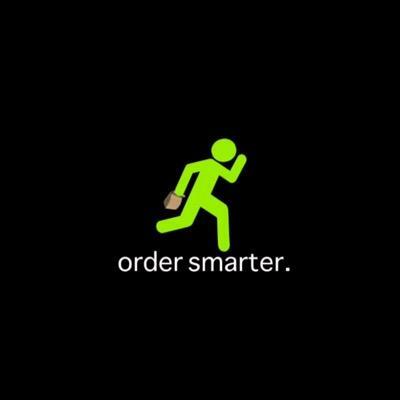 Instead of risking your life or getting a DUI, wouldn’t it be nice if someone could deliver your fast-food favorites to your door and do it in a timely fashion? Coming to Bloomsburg University in the Spring of 2016, your wish will be granted by Exspeedious—a delivery service for college students, run by college students. These restaurants are just a handful of locations on Route 11 Exspeedious will deliver from. Exspeedious is also in the process of creating a ride sharing portion of the company, similar to companies such as Uber, which is something that would be completely new to the area. “Right now we’re going to concentrate on fast-food, ride sharing, and delivering everyday objects,” said Benjamin Moore, co-founder of Exspeedious and mass communications student at Bloomsburg University. 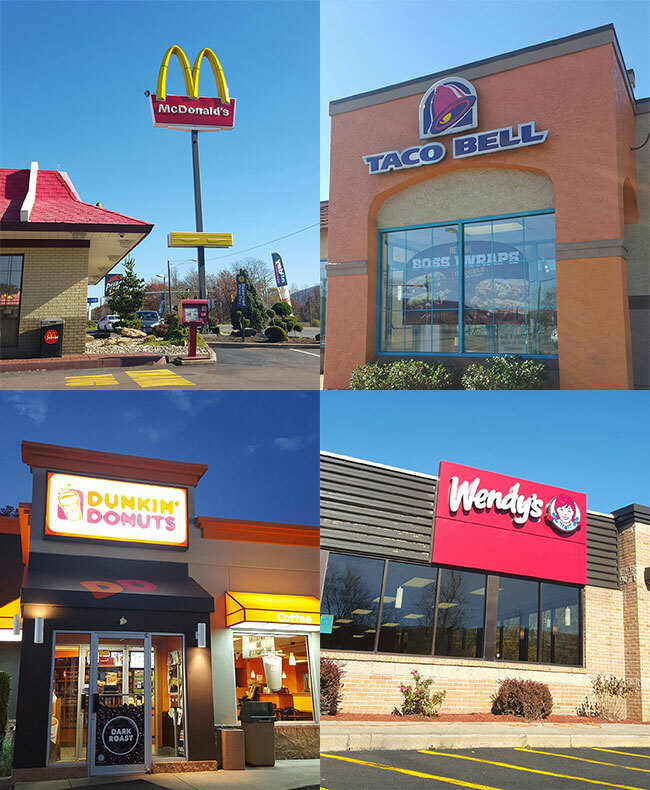 The delivery service will focus on the fast-food shops mainly on Route 11 such as Taco Bell, McDonald’s, Wendy’s, Sheetz, Burger King, Dunkin’ Donuts, etc. Exspeedious would also deliver household products, groceries, and any other type of deliverable items. This semester the company held a soft launch to test out the delivery service and work out the kinks and issues that may arise. After getting a feel for the demand of the business, they decided that they needed more time to work through some legal situations and make it the best company possible for the customer. Moore and about six or seven other students are dedicated and working very hard to make Exspeedious happen. The idea originally started with one student, DJ Robinson, who created a prototype website. After teaming up with Moore and other co-founder Tristan Williams, they turned it into a reality. What got the group passionate for the business was based off of situations that had occurred in their own lives. Moore admits to receiving an underage because he was trying to get food after a night of drinking. The group recently came into contact with an investor to fund the project. Steph Pettit, a 1989 Bloomsburg graduate, is a successful business owner and has made numerous contributions to the university including a $1,000,000 donation to the sports stadium on upper campus. Robinson, a four year starter on the school’s football team, contacted Pettit via Facebook message. Once pitching their idea to him, he was on board and has been a huge help to this startup business. The delivery service will be something Bloomsburg University students have never experienced. Over winter break, the Exspeedious crew will be working to develop an app that enables students to order right from their phones. They are also in the process of creating a personal profile that will remember your past orders as well as your past pick up and drop off locations. Money is not the top priority for this company and many of the workers are going in with just one thing in mind: student safety. “Imagine if students had a ride,” said Moore. “A reliable back pocket resource where they can be safe. The number of under-ages would drop significantly.” Moore has even spoken to the Dean of Students at Bloomsburg University, Donald Young, and says that his main goal is to make the Dean’s job easier. These entrepreneurs knew that in order for this idea to work, they had to have the data and research to back them up. They were shocked when they found out how many alcohol related incidents on campus there actually are at Bloomsburg University and throughout the state of Pennsylvania. 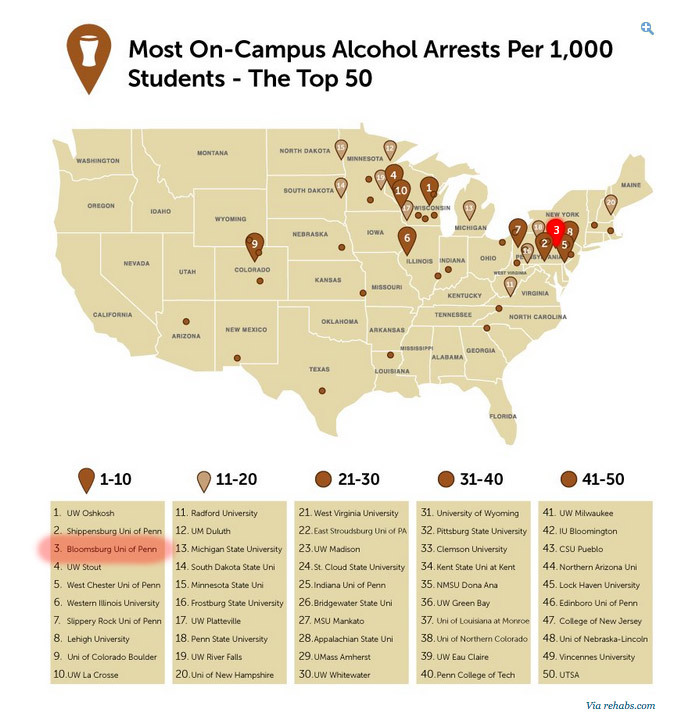 According to Business Insider, Bloomsburg University is third in the nation with the most on-campus alcohol arrests per 1,000 students. “We want to lower this number. Do we want to be known as the state region where the most kids get arrested? What good is that? That is a list you do not want to be on,” said Moore. Bloomsburg University ranks third in the nation in alcohol related arrests. The founders are submitting their startup idea to the PASSHE State System Business Plan Competition. According to their website the competition is, “…seeking State System students who are interested in starting or growing their own business in Pennsylvania.” The top three prizes include a large sum of money to help fund the businesses, with first place receiving $10,000. “This is a pretty big deal… There are over 124 teams competing. But our pitch is all about student safety,” said Moore. With a service like this never being offered to the Bloomsburg area before, students and recent alumni are liking the overall idea. “I really wish there was some kind of delivery service like this available when I was a student,” said Hope McLaughlin, a 2013 graduate from Bloomsburg University. As of now, Exspeedious will only be available to current Bloomsburg University students. You will need a valid .edu email address to login to the app. Unfortunately, this service will not be available to long distance commuter students. You must live on campus or in the near, surrounding area. However, Exspeedious will eventually offer employment opportunities to all Bloomsburg University students. “I like the fact that Exspeedious will have student workers,” said Lauren Jones, junior at Bloomsburg University. Exspeedious will be able to get their food while also staying safe. If Exspeedious takes off, Moore has high hopes of expanding to other state schools in the future. He has thoughts of traveling and talking to other schools about getting on board and investing in student safety. Be on the lookout for more information in the coming months as they launch their website and app. You can also stay up to date on all the latest news via their Instagram, Twitter, and Facebook. Is the True Meaning of Christmas Being Lost?